>>> c * c                   # NOT matrix multiplication! Time them against their pure python counterparts using %timeit. Broadcasting? We’ll return to that later. It will work for small arrays (because of buffering) but fail for large one, in unpredictable ways. Look at the help for np.allclose. When might this be useful? Look at the help for np.triu and np.tril. >>> x.std()          # full population standard dev. … and many more (best to learn as you go). Given there is a sum, what other function might you expect to see? What is the difference between sum and cumsum? 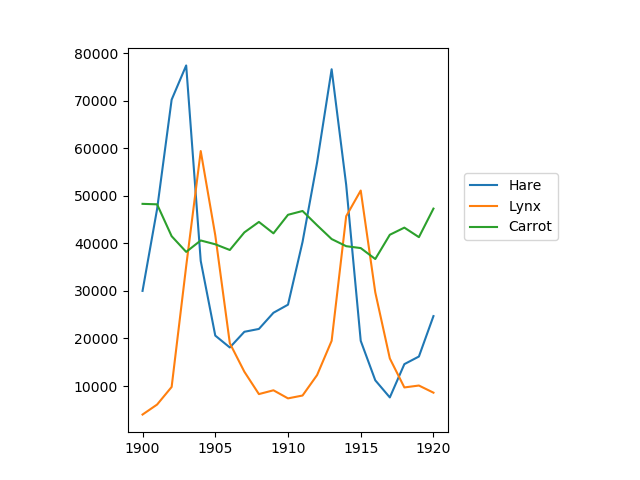 Data in populations.txt describes the populations of hares and lynxes (and carrots) in northern Canada during 20 years. 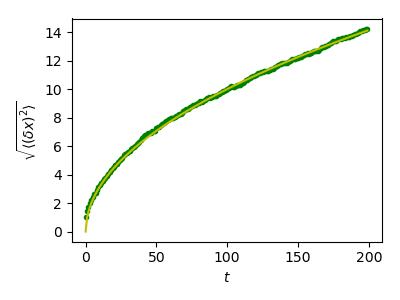 Let us consider a simple 1D random walk process: at each time step a walker jumps right or left with equal probability. We find a well-known result in physics: the RMS distance grows as the square root of the time! This works on arrays of the same size. the same size: this conversion is called broadcasting. Broadcasting seems a bit magical, but it is actually quite natural to use it when we want to solve a problem whose output data is an array with more dimensions than input data. 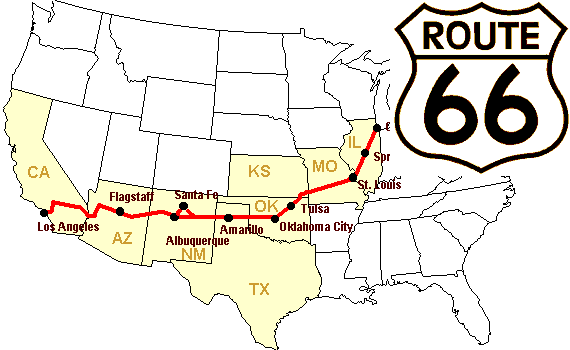 Let’s construct an array of distances (in miles) between cities of Route 66: Chicago, Springfield, Saint-Louis, Tulsa, Oklahoma City, Amarillo, Santa Fe, Albuquerque, Flagstaff and Los Angeles. 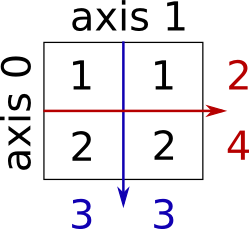 Broadcasting: discussion of broadcasting in the Advanced NumPy chapter. Higher dimensions: last dimensions ravel out “first”. To understand this you need to learn more about the memory layout of a numpy array. Look at the docstring for reshape, especially the notes section which has some more information about copies and views. Experiment with transpose for dimension shuffling. Try both in-place and out-of-place sorting. Try creating arrays with different dtypes and sorting them. Use all or array_equal to check the results. Look at np.random.shuffle for a way to create sortable input quicker. Combine ravel, sort and reshape. Look at the axis keyword for sort and rewrite the previous exercise. Know how to create arrays : array, arange, ones, zeros. Know the shape of the array with array.shape, then use slicing to obtain different views of the array: array[::2], etc. Adjust the shape of the array using reshape or flatten it with ravel. Know miscellaneous operations on arrays, such as finding the mean or max (array.max(), array.mean()). No need to retain everything, but have the reflex to search in the documentation (online docs, help(), lookfor())!! For advanced use: master the indexing with arrays of integers, as well as broadcasting. 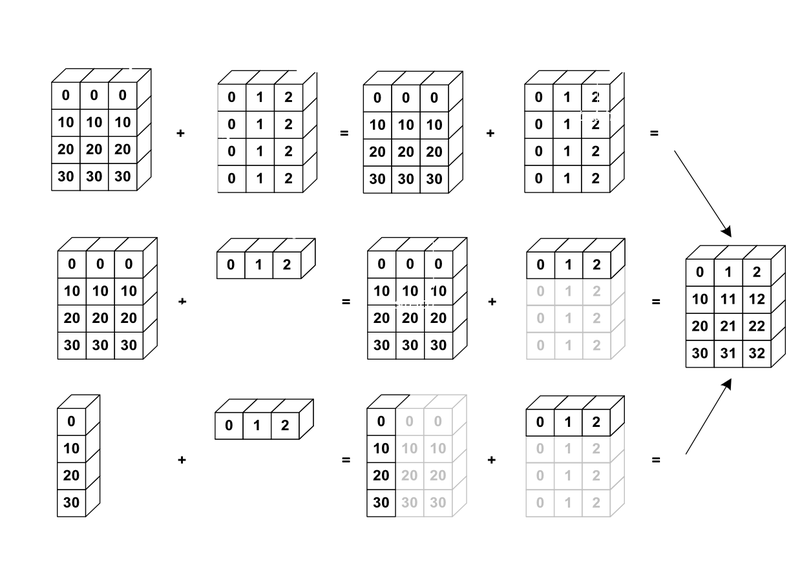 Know more NumPy functions to handle various array operations. 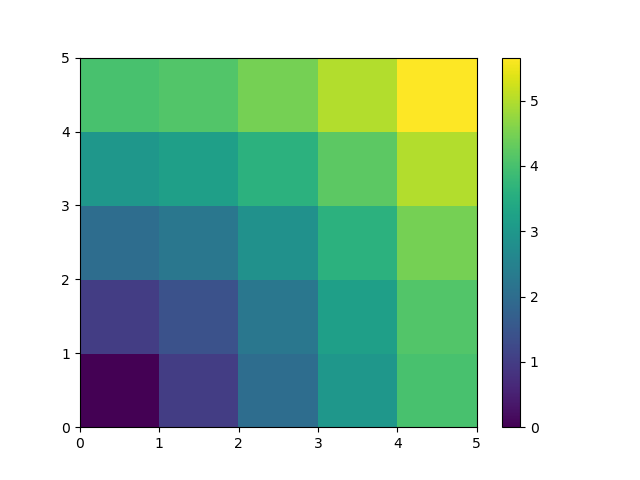 If you want to do a first quick pass through the Scipy lectures to learn the ecosystem, you can directly skip to the next chapter: Matplotlib: plotting. The remainder of this chapter is not necessary to follow the rest of the intro part. But be sure to come back and finish this chapter, as well as to do some more exercices.